On September 8, 2016, Eupen city of Belgium hosts 13th German speaking presidents summit. 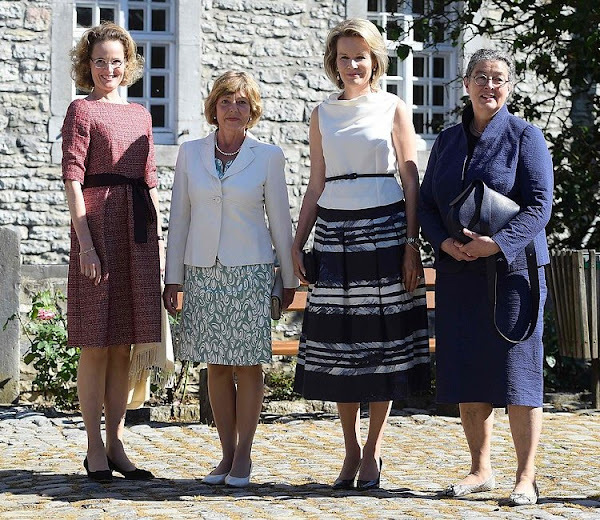 Queen Mathilde of Belgium, Princess Sophie of Liechtenstein, German Daniela Schadt, life partner of President Joachim Gauck and Swiss Katharina Schneider-Ammann came together in Eupen city of Belgium and carried out a series of events. Si la reine Mathilde s'était regardée dans une glace elle aurait vu que sa jupe ne lui allait pas du tout.